This is part three in a series on the benefits of enrollment. Be sure to read part one, Enrollment = Growth, and part two, Open Enrollment: Three Misunderstandings and Three Realities as well. The following are two portraits that demonstrate some of the ways in which enrollment can work for a Sunday School program. Gene is retired and enjoys woodwork. He can and will talk to anyone. While attending a Sunday School training event, he became intrigued by the idea of enrolling anyone anywhere. The person leading the training had used the term “enrollment,” causing Gene to think about his daily conversations. He decided to carry some enrollment cards with him and see if he could enroll people he met while waiting in line at the local super store. He picked a line and started a conversation with the couple in front of him. Before long, the conversation turned to the Bible, and he offered to enroll the couple in a Bible study group at his church. To his amazement, they agreed to do so. After checking out, he went straight to the church office to pass on the information. Then he went back to the store, bought some donuts, and enrolled another person. Later that day, he made sure that the leaders of the appropriate class contacted the people he enrolled. In that first month, he enrolled more than thirty people in a Bible study class. Only one couple of that number was in his class. Of those he enrolled that first month, 13 accepted Christ over the next 18 months. Gene wondered about the impact he could have had if he had learned to enroll people earlier in his life. Mark was the greeter for his Sunday School class. He greeted everyone as they arrived, but he paid special attention to guests. He introduced himself and spent time getting to know the guests so he could introduce them to others in the class. Instead of asking guests to complete a guest registration form, he began asking guests if they wanted to enroll in the class. He carefully explained that he wasn’t asking them to join the church, just the class. He shared with them how being a member would ensure that there would always be a place for them, that they would receive Bible study resources in the future, and that they would be added to the care group system where they would find a supportive prayer team. If they told him no, he would still take their information but noted that they desired to remain guests. If they said yes, he made sure they were celebrated. This class began to grow, adding new people on a regular basis. They would eventually start a new class with Mark as the greeter. Both of these men discovered the value of enrolling people. They viewed everyone as a potential member of a Bible study group. Their actions helped their Sunday School and church reach people with the gospel message. They know some people they enrolled will never make a decision for Christ, but they also know many will. They can’t tell at first meeting who will accept Christ and who will not, so they choose to treat everyone like they will by offering them the opportunity to enroll in a Bible study group. Both men realized that offering a person the opportunity to be a member of a Bible study group is a great first step that potentially leads to more steps, including accepting the gospel. Just as it did to Arthur Flake the businessman, open enrollment just makes good business sense to Gene and Mark. How have you seen enrollment used as an effective tool for reaching people with the gospel? In the final post of this series, we’ll discuss the most common excuses for not practicing enrollment and how to address them. This is part two in a series on the benefits of enrollment. Part one can be found here: Enrollment = Growth. Arthur Flake was a proponent of open enrollment for Bible study groups. Open enrollment is allowing a person to join a Bible study group prior to ever attending the group. People can certainly enroll during or after attending a BIble study group, but they are not required to attend. In fact, they can enroll anywhere at any time. Some people scoff at open enrollment, seeing it as minimizing standards or compromising deeper Bible study. Behind most objections are some misunderstanding of what open enrollment means. Here are the three most common misunderstandings I encounter. Misunderstanding 1: You are allowing lost people to join the church. Nothing could be further from the truth, unless you hold to the idea that only regenerate church members are allowed to attend an ongoing Bible study group. Church membership and Sunday School enrollment are related, but they are not the same thing. Church membership is about making a commitment to Christ. What you are asking a potential enrollee to do is to agree to be held accountable by a group to study the Bible. Studying the Bible and following Christ are two very different things. Misunderstanding 2: The new enrollee will automatically attend. My wife and I have more rewards cards than we can track. We have multiple rewards cards from some stores (long story). Just because I have a reward card doesn’t mean I will shop in that store for all my needs. The same is true with a person who enrolls in a Bible study group. They will not automatically attend. Enrollment is just a first step. Misunderstanding 3: The new enrollee understands what to do next. Most people have no idea what happens in a Bible study group. Over the years, I’ve been asked about regular tests required to stay in a group, about fees and dues required, and if they are allowed to miss a Sunday and still be in a group. We can not assume that they know what to do after they enroll. Just as some have misunderstandings of open enrollment, others tend to forget three very important realities. Reality 1: Someone is interested in Bible study. You have the name of someone who has told you or someone from your church that they want to be a member of a Bible study group. If that doesn’t communicate interest, I don’t know what does. We can’t ignore someone who has expressed an interest in our Bible study group. Reality 2: You have work to do. As I said earlier, just because a person enrolls doesn’t mean he or she will attend. The appropriate Bible study group needs to contact them personally. Bible study helps need to be delivered and explained. Extra chairs may need to be added. More leaders may need to be enlisted and trained. Every new enrollee represents work to be done (which is one reason some leaders choose to practice closed enrollment). Reality 3: It will take time. You are asking a person or family not only to make a commitment to a Bible study group but also to change their weekly routine. Change takes time, and you need to give them time to adjust. Don’t give up, be persistent, and in time you will see the results. What misunderstandings and realities would you add to this list? Next we’ll look at part three: two portraits demonstrating how open enrollment works. Sometimes when I need to gather my thoughts, I will go to a space where I can be surrounded by reminders of LifeWay’s history. In the middle of one display is Arthur Flake’s journal. Flake was a businessman and volunteer church leader from Winona, Mississippi. In 1920, he became the first leader of the Sunday School division at LifeWay (then the Baptist Sunday School Board). One of the first things he did was establish a set of standards that painted a picture of an effective Sunday School. The journal on display at the LifeWay building contains Flake’s notes for establishing that standard. The men who followed Flake (Gaines Dobbins, J. N. Barnette, Othal Feather, A. V. Washburn, Harry Piland, Bill Taylor, and now David Francis) built upon this formula. Flake’s formula was the impetus for much of the growth of Southern Baptist Sunday School in the 20th century. The contents of the page displayed also served as the outline for chapter 2 in Flake’s book Building a Standard Sunday School (first published in 1922). Of interest is the title of the chapter: “Enlargement.” In Flake’s journal, he used a different title across the top of his page: “Enrollment.” I am not sure when the title changed, but obviously, Flake saw the two things as interchangeable. If one wants to grow (enlarge) a Sunday School, then in Flake’s strategy it begins with enrollment. Over the past few years, the emphasis appears to have flipped. Some people treat enrollment as the last step of Flake’s Formula (go after the people) when in fact it was the first step. Knowing the possibilities was borne out of enrolling and grouping the new people enrolled. Enrolling new people required the leader to enlarge the organization, which in turn meant enlisting and training leaders. New enrollees called for finding a meeting place and providing resources for the group. The final step was releasing the new leaders to gather the new enrollees in new groups. Enrollment drove the engine. Without enrollment, the current organization had no real reason to expand in the first place. Growing (enlargement) was contingent upon enrollment. It still is today, and we need to revisit the call to enroll people anywhere. 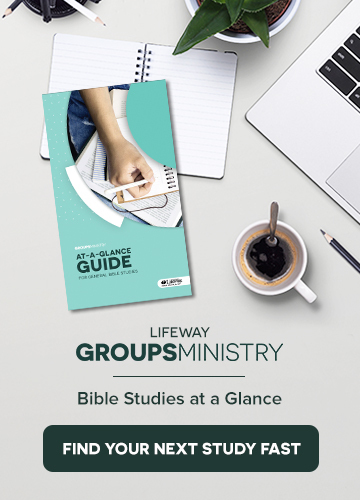 How would you rate the importance of enrolling people in your Bible study groups? What do you need to do to increase that rating? Read part two in this series: what open enrollment means. Quotation from Arthur Flake, The True Functions of the Sunday School, Nashville: Convention Press, 1930, 1936, 1955, p. 46.